I first came to the films of Frank Capra with a preconception which probably distorted my response. I had absorbed the received wisdom that his work was steeped in sentimentality – that famous “Capra-corn” – and I was steeled to resist his manipulations. It took quite a while, and the viewing of more of his movies, before I was ready to admit that there was something more going on, that in fact despite the undeniable sentimental streak, there was often something quite dark in his work. It’s always puzzled me, for instance, that It’s a Wonderful Life has become such a perennial Christmas favourite given that it’s a pretty bleak, deeply observed study in despair at the death of personal dreams with a tacked on heart-tugging ending which actually does little to alleviate the darkness of everything which has come before. Capra’s life seems a classic illustration of the American immigrant experience – the arrival in the land of promise, the years of poverty and struggle, the at-times shady money-making schemes, all of which eventually led to Hollywood and the film industry – itself rooted in often shady business schemes. Like so many immigrants of his era, Capra embraced the promise America held out, its self-created image as a land of equality and opportunity unlike any which had previously existed in history. And for several decades, his life bore out the myth. Among other jobs, Capra worked around the fringes of the film industry in the years after World War One, eventually directing his first short, Fultah Fisher’s Boarding House, an adaptation of a Rudyard Kipling poem, in 1921. A couple of years later, he was hired by Hal Roach as a gag man, then moved on to Mack Sennett as a writer before directing a series of films starring Harry Langdon, beginning with The Strong Man in 1926. Chafing at Langdon’s taking all the credit for these movies, Capra moved on, becoming a prolific and varied director in the later ’20s and on into the ’30s, with action-adventures, romances, contemporary dramas and comedies. During this period, he became one of the most accomplished technical directors in Hollywood and an excellent director of actors. Craving the recognition of the Academy, he persuaded Harry Cohn, the head of Columbia Pictures, to back his biggest and most ambitious film yet: The Bitter Tea of General Yen (1933). When this story of a missionary who falls in love with a Chinese warlord failed to become a hit, Capra changed gears. By this time, the Depression was several years old, and he began to address what was happening in the country in a series of films which became progressively more strident as the harsh social and economic situation dragged on. It was with the second of these films (after Lady For a Day, 1933) that Capra hit the jackpot. 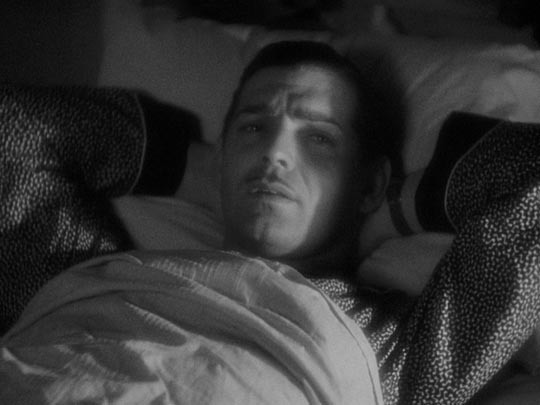 Although It Happened One Night didn’t initially make much of a mark at the box office, it had legs, with many people seeing it again and again, its popularity finally convincing the Academy to do something it had never before done: awarding it all five of the top Oscars (Best Actor, Actress, Screenplay, Director and Film). 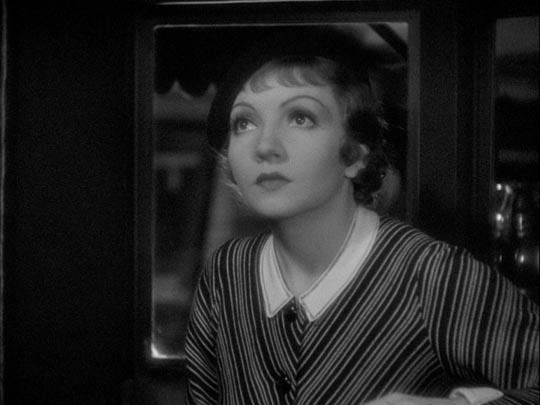 This was remarkable not simply for being a first: it was doubly remarkable that the feat was achieved with a low-budget movie shot in just four weeks and produced by one of the lesser studios, a film which that studio didn’t have much faith in – which was a feeling shared by many of the cast and crew (star Claudette Colbert is reported to have said at the end of the shoot that she’d just been involved in the worst film of her career). On top of this, this small romantic comedy helped to spawn one of the richest genres of the period, the screwball comedy. 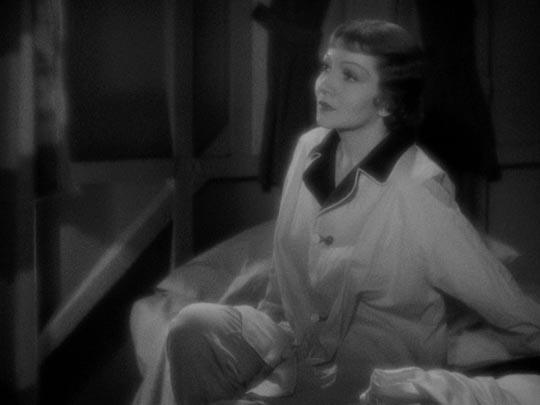 Which is not to say that It Happened One Night is a full-fledged example of that genre – it seems much slower and more easy-going than the fast-paced, snappy comedies of Howard Hawks, Preston Sturges and Leo McCarey. But the core of It Happened One Night is the essence of screwball (and pretty much every romantic comedy made in the ensuing eight decades): two characters, opposites in every sense, meet by chance and spend the next hour-and-a-half aggravating each other as they’re forced to join together against adverse circumstances, until both finally have no choice but to admit that they were made for each other and accept their fate. 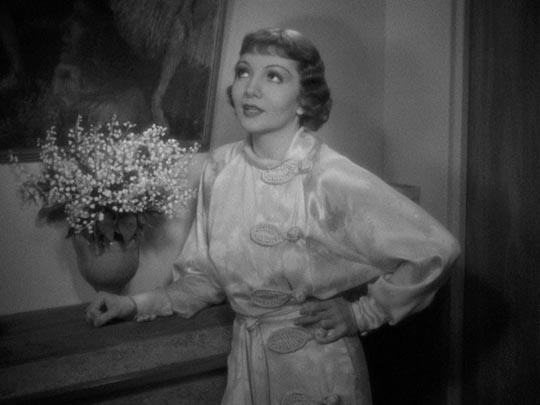 The he is Peter Warne (Clark Gable), an egotistical newspaperman; the she is Ellen “Ellie” Andrews (Claudette Colbert), a headstrong heiress on the run from her controlling father. Ellie is not so much spoiled as suffering from enforced innocence brought on by an over-protected life. At the first opportunity she has impulsively married a man disapproved of by her father, the aviator Westley (Jameson Thomas). Held prisoner on her father’s yacht in Florida while he tries to annul the marriage, she breaks free and hits the road; to keep a low profile (there are detectives on her tail), she buys a bus ticket to New York and by chance is forced to sit beside Peter, who’s just been fired by his editor for handing in an unreadable story. Recognizing who she is, Peter latches on to her in order to get a front page scoop – and his job back. Their adventures on the road provide a lot of comic conflict as their very different characters rub up against each other, but their closeness gradually transforms them – in looking after Ellie, the gruff newspaperman reveals a more vulnerable, even feminine side, while Ellie gains in strength and independence. In classic romantic comedy form, the growing attraction between them triggers reactions which push them apart; before making that final commitment, they need to assert their independence one last time. Although the film was shot quickly (much of it on real locations, giving it a proto-neorealist flavour at times), Capra and his favourite scriptwriter Robert Riskin take time to observe the world around the pair, sketching in a portrait of ordinary people coping with hard times. A thief steals Ellie’s suitcase and all her money, forcing the pampered woman to deal with issues of basic survival, barely alleviated by Peter’s dwindling resources, while he has to deal with the ego-bruising fact of joblessness. The sequence at a motor court where they spend a night, with displaced families pausing along the way between one nowhere and another, is as affecting as anything in The Grapes of Wrath, with Ellie confronted by the loss of her own privileged position in a warm, good-natured way by a group of women waiting in line for the communal shower. 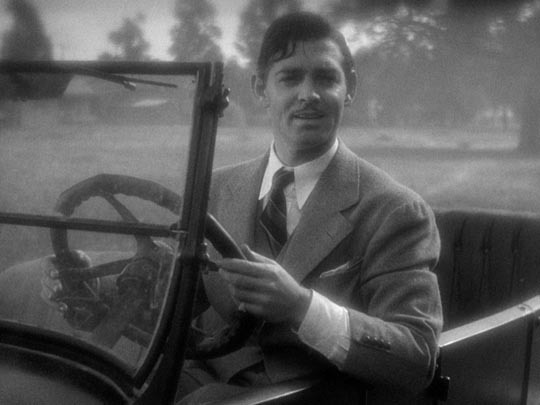 On the journey North, Peter and Ellie repeatedly see the best and worst in people – thieves and opportunists, as well as people bonding into transient communities (best exemplified by an impromptu sing-along on the bus, in which various passengers take turns belting out enthusiastic verses of “The Daring Young Man on the Flying Trapeze”). While never losing focus on the romantic core of the narrative, Capra and Riskin turn the film into an illustration of the class issues underlying the Depression, sweetening the portrait with that romantic fantasy which ultimately sweeps away class differences in accordance with the American myth of equality. These themes would become more emphatic in subsequent films like Mr Deeds Goes to Town, Mr Smith Goes to Washington and Meet John Doe, as if Capra’s own optimism and idealism had to be increasingly bolstered against the grinding reality of the Depression. John Doe, in fact – made just before the United States entered the war – all but lost its comedy in a vision of fascism overtaking America; not surprisingly, Capra soon enthusiastically took on the task of producing government propaganda against fascism with his Why We Fight series, which was as much about what the country was fighting for (that American vision) as what it was fighting against. But his wartime experience changed him and he never managed to return to that earlier optimism. Immediately after the war, in an apparent attempt to do just that, he looked back at the Depression but found life bleaker than ever in It’s a Wonderful Life, where the best that could be hoped for was a pragmatic acceptance of unfulfilled dreams and self-sacrifice. None of his remaining films achieved his earlier levels of success – including remakes of two of his ’30s hits, Riding High (1950, a remake of 1934’s Broadway Bill) and Pocketful of Miracles (1961, a remake of 1933’s Lady For a Day). But back in 1933, with It Happened One Night, seemingly a quickly tossed off trifle, Capra had found the perfect balance between his dream of America and the harsh reality, in the process drawing some of the finest work of their careers from Clark Gable and Claudette Colbert and inspiring one of the liveliest genres ever to come out of Hollywood. 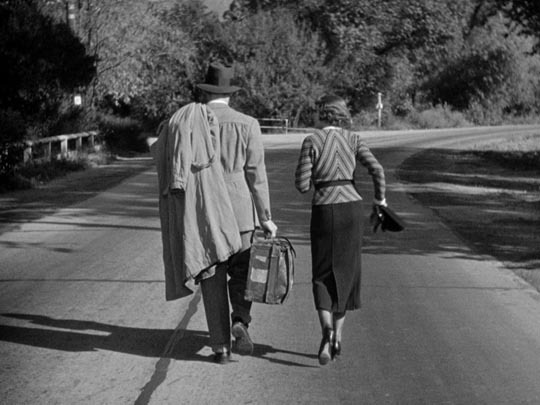 Criterion’s Blu-ray edition of It Happened One Night presents the film in its best-ever video incarnation. Not surprisingly, the visual quality is variable – shot quickly, much of it away from the controlled environment of the studio, and much of it at night, the exteriors are sometimes a bit soft and grainy, although much of the film offers deep, rich blacks and a sometimes startling subtlety in the lighting of cameraman Joseph Walker (shooting his twelfth feature with Capra). In fact, there are moments of such beauty that at times the film doesn’t feel like a comedy at all: that first night in the motel cabin, the night in the open sleeping by haystacks, the river crossing at dawn … Walker’s work imbues this world with an air as magical as that of Night of the Hunter, transforming Peter and Ellie’s journey into a kind of fairy tale, an effect which convinces the audience of the authenticity of their burgeoning love. One of the great benefits of HD is its capacity to show just how beautiful black-and-white photography can be. The mono sound is fairly typical of films of the period, but dialogue is clear and intelligible. The most interesting supplement on the disk is Capra’s first short film, Fultah Fisher’s Boarding House (12:03); although overloaded with Kipling’s complete poem in lengthy intertitles (although interestingly superimposed at times over moving images), this brief story of two sailors fighting over a prostitute in a seedy tavern is strikingly inventive visually. There are shots which appear influenced by German Expressionism, a dynamic use of high angles, and the climactic fight is played out in shadows on a wall. The visual expressiveness comes as a surprise given how conservative Capra’s use of the camera is in his best-known features, where he generally subordinates his style in service of the actors. Screwball Comedy? (38:36) is a conversation between critics Molly Haskell and Phillip Lopate, in which they discuss the nature of the genre and connections and differences between It Happened One Night and the films which came afterwards. As they argue, screwball is a genre which requires a particular social order to work; these stories are about the efforts of their characters to overcome constraints (romantic and sexual) which no longer exist today, and yet while their characters struggle to break out of social convention, their trajectory leads back to a reconstruction of the social order – marriage is their inevitable end point. Haskell and Lopate also address what may be the most problematic aspect of It Happened One Night for a modern audience: Ellie’s father is won over to the idea of Peter as a viable son-in-law when the reporter asserts that all Ellie needs is to be hit once a day to keep her in line (although it’s a slap from her father which triggers Ellie’s initial flight at the start of the film). Frank Capra Jr provides a brief introduction to the film (11:16), while Frank Capra’s American Dream (1:36:02) is a well-made documentary from 1997 which covers the director’s life and career in adulatory detail; Capra lived out both the bright and dark sides of his vision of America, achieving great success yet plagued by self-doubt. The disk also includes the AFI’s Life Achievement Award: A Tribute to Frank Capra (59:11) from 1982, hosted by James Stewart. Finally, there’s a trailer (1:24) and, in the booklet, an appreciative essay by Self-Styled Siren Farran Smith Nehme. This entry was posted in Review and tagged American film, Blu-Ray, Classics, Comedy, Criterion, Directors. Bookmark the permalink.